Nokia has held its Capital Market Day, and that generally means it's a good chance to say what the future holds (or 'please give us money, investor people, we're a good bet, honest'). The main talking point has been Symbian, Nokia's biggest operating system, and how the company plans to update it in the near future, with improvements to the user experience high on the priority list. Nokia CEO, Olli-Pekka Kallasvuo, said: "As an operating system, Symbian has reach and flexibility like no other platform, and we have measures in place to push smartphones down to new price points globally, while growing margins." 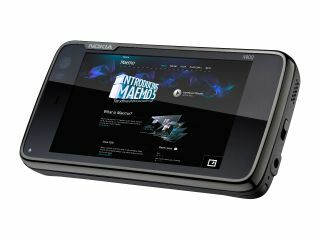 He also said that in the second half of next year we'll be seeing the first Maemo 6 'mobile computer' (which is another way of saying chunky smartphone in Nokiaspeak), backing up the rumours that there will only be one Linux-based device from Nokia next year. In terms of financials, Nokia is mainly looking to stabilise its market share (and therefore profits) by increasing the volume of mobile sales by 10 per cent, while maintaining flat mobile device volume market share. It also hopes the average selling price of its phones will drop slower than before, which once again equates to more profit. Either way, Nokia needs to sort out the Symbian experience and fast, as users are getting frustrated with the company's convoluted OS, especially when compared to the slick interfaces offered by Android or the iPhone's OS.